Viknesh Vijayenthiran March 29, 2018 Comment Now! Even as fuel prices are still low compared to their peaks of the last decade, automakers are ramping up production of electrified models to meet tough new fuel economy and emisisons standards, and Honda is not to be left out. The Japanese automaker on Monday revealed a handsome redesign for the Insight, whose formal debut takes place Wednesday at the 2018 New York auto show. A thinly veiled prototype was shown in January during the 2018 Detroit auto show. 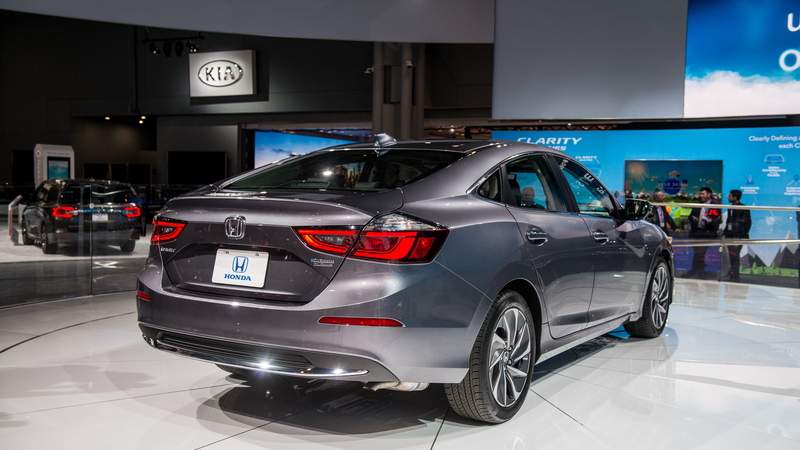 The new Insight, which reaches showrooms in the summer as a 2019 model, represents the third iteration of Honda's hybrid nameplate. It also represents the third body style for the car. The original Insight of the early 2000s was a 3-door hatch. The car morphed into a Prius-like 5-door hatch for its second generation. It’s now taken on a somewhat stylish sedan form. 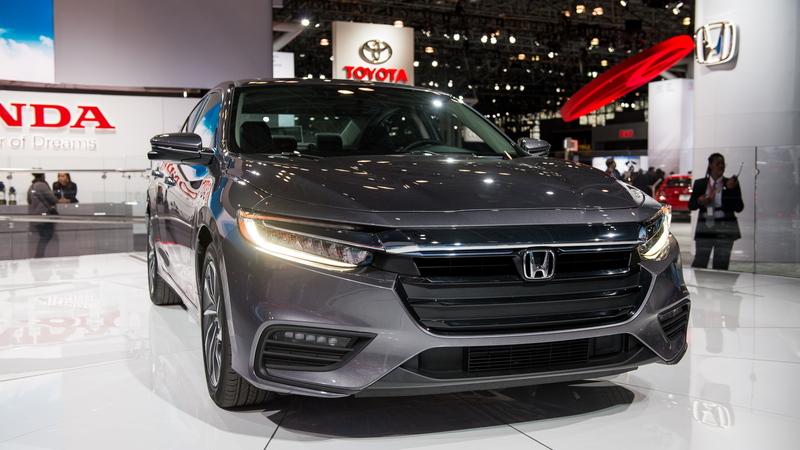 The design looks a lot like that of the 10th-generation Civic, though Honda describes the new Insight as an “upscale” 5-seater positioned above the Civic. Nice touches include LED headlights, perforated leather, an 8.0-inch touchscreen display, and a Wi-Fi-enabled infotainment system with Apple CarPlay and Android Auto smartphone integration. Buyers can also look forward to electronic driver aids such as automatic braking, traffic crawling, and lane departure warning. The real star of the show, however, is the car's 2-motor hybrid system. It uses a 1.5-liter Atkinson cycle engine for its internal combustion component, plus a pair of electric motors that replace the transmission. Peak output is 151 horsepower and 197 pound-feet of torque, and there's a Sport mode for spirited driving. 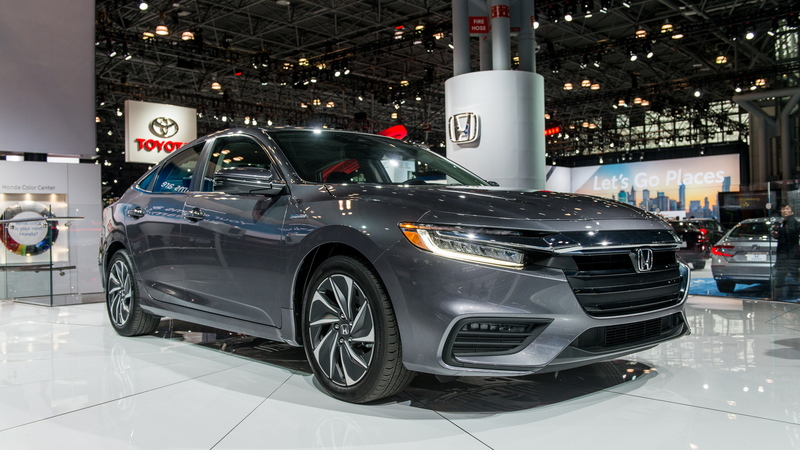 When you drive a bit more conservatively, Honda says the new Insight will deliver an EPA-rated fuel economy of 50 mpg combined or better. 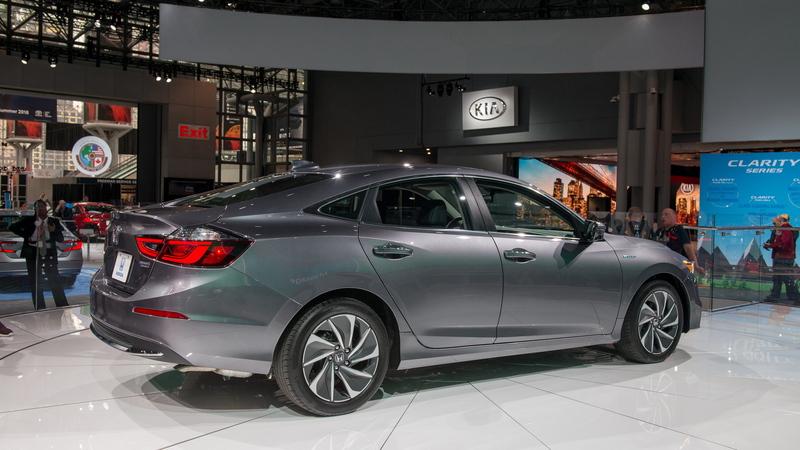 The previous Insight could only muster 41 mpg while popular hybrids like the Hyundai Ioniq and Toyota Prius return 58 and 56 mpg, respectively. Production of the 2019 Insight will take place at a plant in Greensburg, Indiana, where Honda produces the Civic and CR-V. Pricing will be announced closer to this summer's market launch. 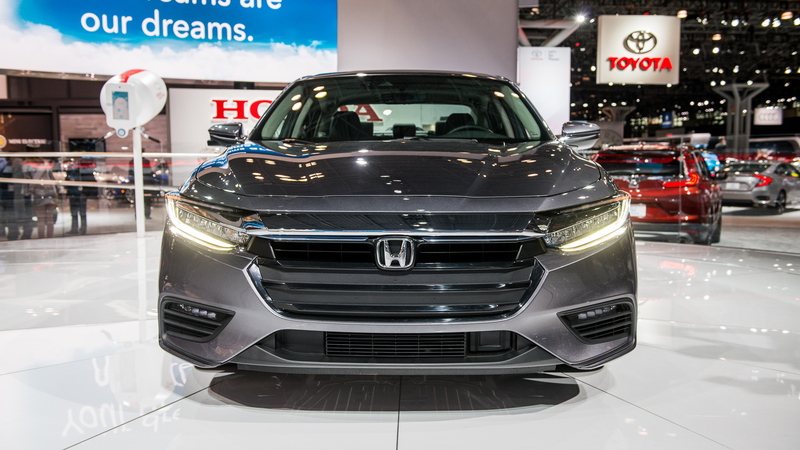 For more N.Y. auto show coverage, head to our dedicated hub.